Hm. 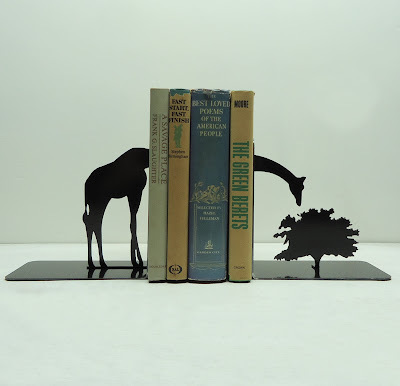 I can't quite decide which of these bookends I like best. Because, frankly, I like most of them. I do have a certain fondness for the giraffe design. Also the UFO abduction. And the geek set. Yeah, so I guess that doesn't really narrow it down much, huh?